Some of you have probably read my review of Steve Jobs’ biography. I really like the book. It is a fantastic read. In the last post, I also promised to distill a few lessons. Well, here they are. A few interesting quotes. Quick and simple. People shy aways from using complex and complicated things. Think about Apple’s products – they are simple and easy to use. We do not need a manual to use the iPad, iPhone or iPod. We should all make an effort to simplify our business analytics objects whether they are reports, cubes or planning models. Complexity deters. Simplicity attracts. But achieving simplicity is not all that easy. Keep that in mind. We have to fight for it. We have to be creative to obtain it. But it’s worth the effort. We sometimes feel like juggling everything that is being thrown at us. We accept new requirements without really wondering whether they make sense. But we sometimes have to say “no”. Once again, let’s keep it simple and focus on the big picture. There is no point in trying to satisfy every single business user and process exception. Simplicity and focus should create objects that business users like to use. But we should not try to create too many exceptions and complexities to cater to those people who are skeptical. They will never change. Let’s focus on the essential stuff and people will follow ….. eventually. Jobs pushed his teams to design beautiful products – even under the hood. We should strive to do the same. It pays off. Solid architecture and data models pay off a hundred times. It’s not just about the presentation layer. Poor design will eventually show. We spend way too much time creating PowerPoint presentations. Let’s drop that and invest the time in understanding our business and the associated problems and opportunities. Jobs is right – if you know your stuff, you can white board, you can discuss without the helping hand of a PowerPoint deck. Let’s try to figure out how we can push the envelope. Let’s not just focus on the requirements of the users. Instead, let’s figure out how we can surprise them. When is the last time you have surprised them? It all sounds so simple…right? While reading the Steve Jobs biography last week, I watched some videos of Steve Job’s presentations. The great majority of the recordings are worth watching. There is a lot to learn from the master himself. He surely did know how to present. His appearances were always characterized by great clarity and passion. When it comes to understanding his foresight and amazing vision, one recording certainly sticks out. And that one is not necessarily the best in terms of visuals, laughs and such. 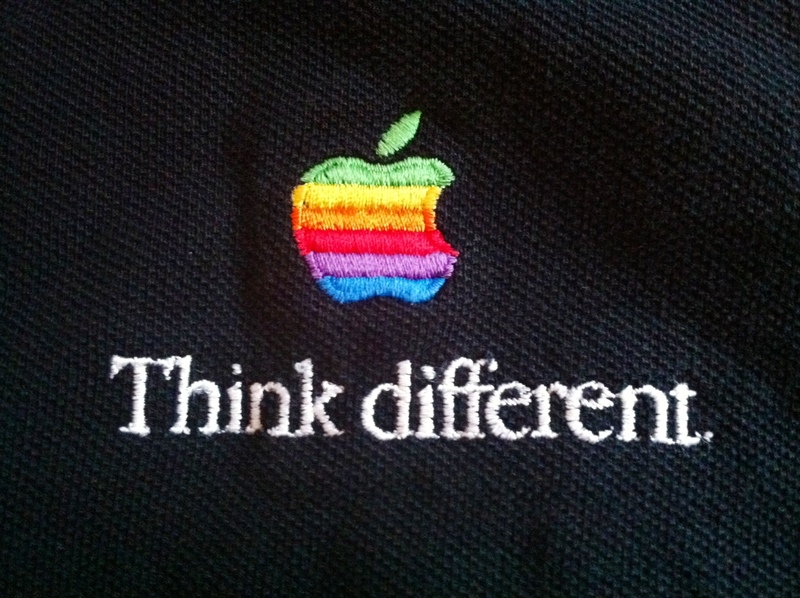 Watch this short 5 min recording from the famous 1997 Apple WWDC. Jobs is talking about some of his ideas. It is amazing to listen to this 14 years later. Much of this thinking is now incorporated in iCloud. Yesterday morning, I finished reading to 600 page Steve Jobs Biography written by Walter Isaacson. To sum up the experience – it’s a great read. At least for people who are interested in business, technology and creativity. One the key strengths of the biography is the outstanding story telling by the author. This book is not only about Steve Jobs. No, there are fascinating anecdotes of the early Silicon Valley days that show how closely connected some of the pioneers were. Jobs and Wozniak, for example, reaped some of their first successes at Atari and they were heavily influenced by HP. 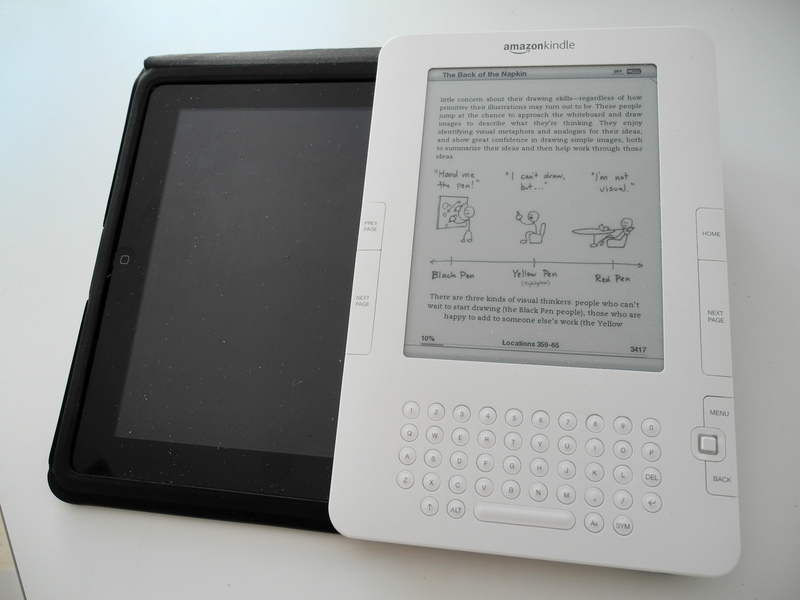 The book therefore takes you on a fun journey through the history of modern technology. While reading the biography, I often found myself pulling up old photos of game consoles, PCs, Macs, iPods and other products. The relationship between Apple and Microsoft is also an important topic. And then there is Pixar of course: many people do not realize that Steve Jobs managed to bring Pixar to where it is today. Without Jobs there would probably not be movies like ‘Finding Nemo’ or ‘Toy Story’. Steve Jobs was definitely a genius. The products he managed to bring to market are amazing for sure. And they have changed the world forever. But being a genius didn’t necessarily make him a nice person. The book is filled with tons of examples that show what a complex and difficult personality Jobs was. He must have been extremely rude and disrespectful. Reading some of the stories of him destroying and attacking co-workers, competitors, friends and family are outright disgusting. There were a few chapters where I just had to put the book down and walk away. Also, the stories about his extremely weird eating and personal hygiene habits are ….well…..interesting(he was a strict vegan and didn’t believe in taking showers). Overall, you get the picture of an extremely talented but yet extremely nasty person. The biography is also motivating and educational. Jobs will be remembered as one of the most outstanding management characters. The book offers many insights into his philosophy. It certainly got me thinking about many different things and I would argue that this book could become a standard read in business schools. I will collect a few learnings and share them in a different post next week. If you are interested in business and technology, get the Steve Jobs book. It is a true page-turner. There are chapters that are annoying (I got frustrated reading about Job’s weird behaviors). But it is truly inspiring and informative. A perfect read for the upcoming holiday season. P.S. : If you are indeed interested in Steve Jobs, I can highly recommend the writing of Carmine Gallo. 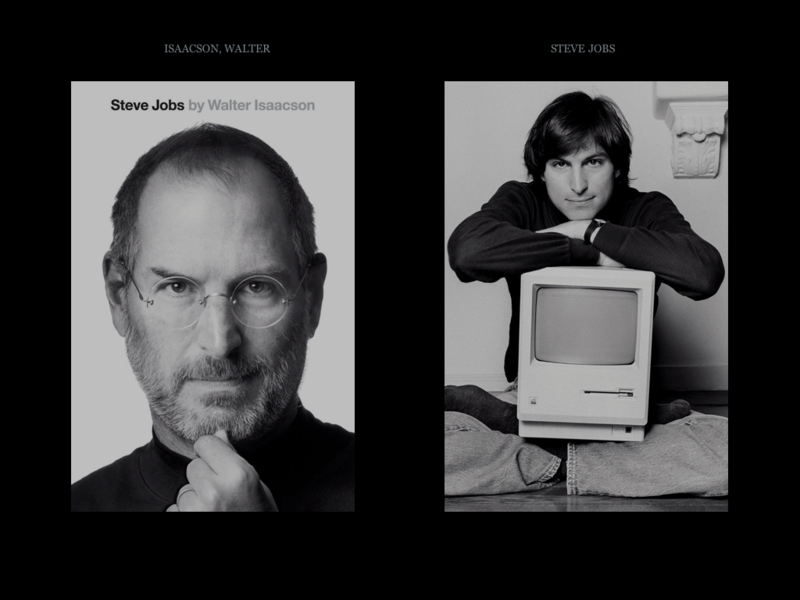 He has published two books about Steve Jobs’ key strengths: creativity and presentation skills. Both books are quick reads and they offer insightful tips and tricks that everybody can use in business. 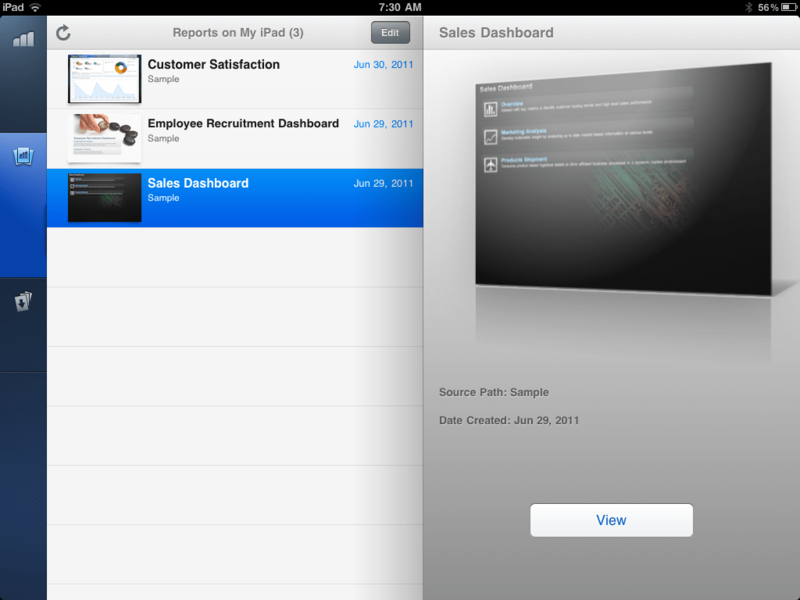 The new IBM Cognos Mobile iPad app is nice! Once our plane had taken off, I pulled out my iPad and launched the app. European flights do not have WIFI, yet. But the app does support offline content. And so I was sitting there in seat 5D somewhere above Frankfurt and was able to test some of the dashboards and reports. Being able to work offline is a huge advantage, from my point of view. I have personally encountered so many situations where the wireless network was either poor or simply not accessible. But back to the Cognos app: The initial impression is excellent. The interface is nice and clean. It does not take any time at all to get up and running. Navigation is intuitive and all the usual finger movements (swiping, pointing etc.) work flawlessly. Author Christoph PapenfussPosted on September 16, 2011 April 16, 2012 Categories Dashboarding, IBM Cognos, Sticky, VisualizationTags Apple, IBM Cognos 10, ibm cognos ipad, iPad, Mobile BI10 Comments on The new IBM Cognos Mobile iPad app is nice!